This post is long overdue, I came here with my parents in law when they were in Hong Kong in March. It was their last night in Hong Kong and they wanted to have some seafood. I thought of this place, only cause I haven’t been but because it was recommended by a good friend of mine, V, who also loves food! I left the ordering to my mother in law and I think she ordered quite well! Started off with the razor clams with vermicelli, garlic, shallots and chili. I love razor clams, so this dish was superb! It was a little bit too garlicky for my liking but the razor clams were fresh and tasty. 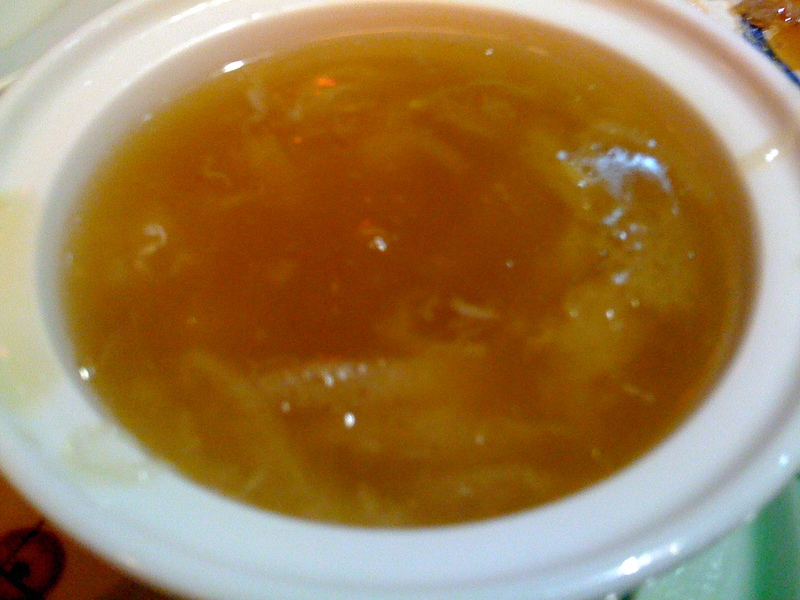 We all ordered a bowl of shark fin soup – the shark fin soup was ok – it wasn’t the best shark fish soup I have tasted. I thought it lacked a little bit of flavour – probably because I didn’t put enough vinegar, but you shouldn’t have too right? 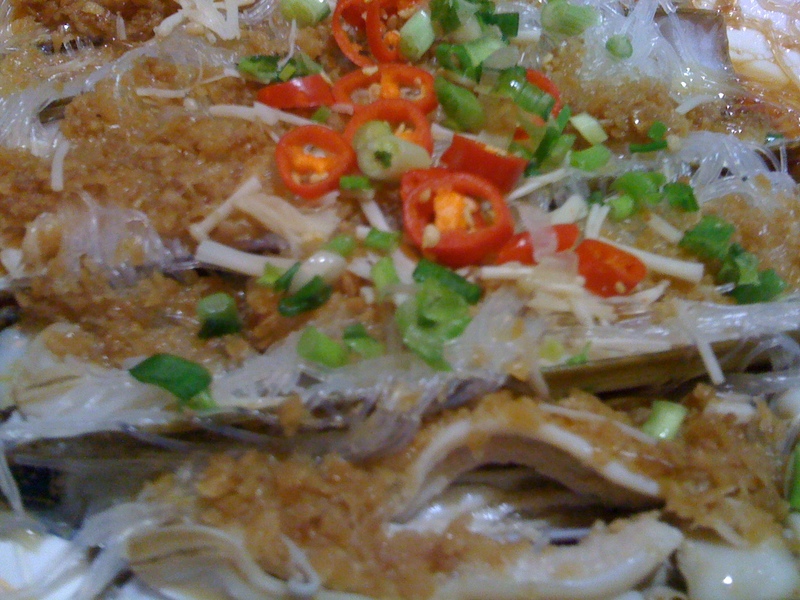 Steamed fish with soy sauce and shallots – you really can’t go wrong with this simple dish unless you over cook the fish! We also ordered scallops with vermicelli, garlic and shallots. 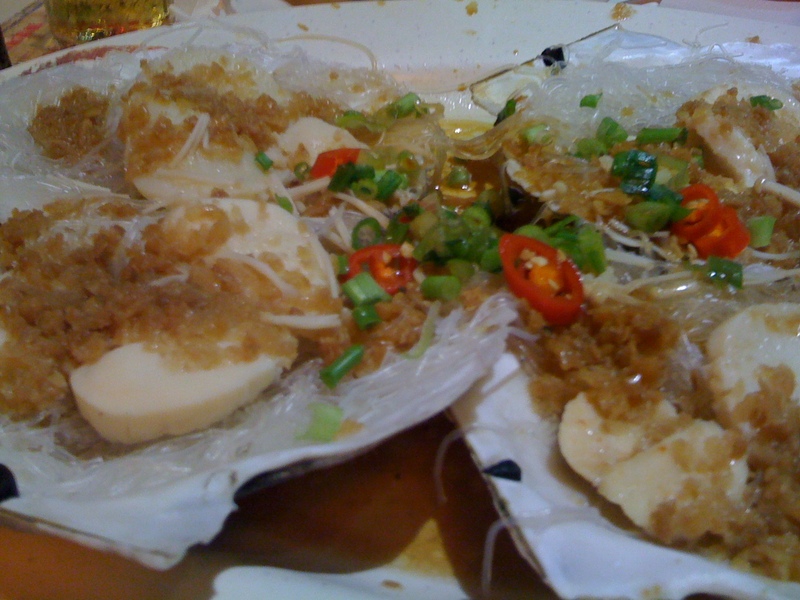 The flavour was similar to that of the razor clams. It was indeed too garlicky for me, but the scallops were fantastic! You can’t go to under bridge spicy crab without ordering their specialty, which is their crab! Unfortunately, I forgot to take a photo of the most important dish of the night *sigh*. My hands for one were dirty, and as much as I am not a fan of eating crabs outside, this was tasty! They asked what size we wanted, and we asked for the something mid-size. 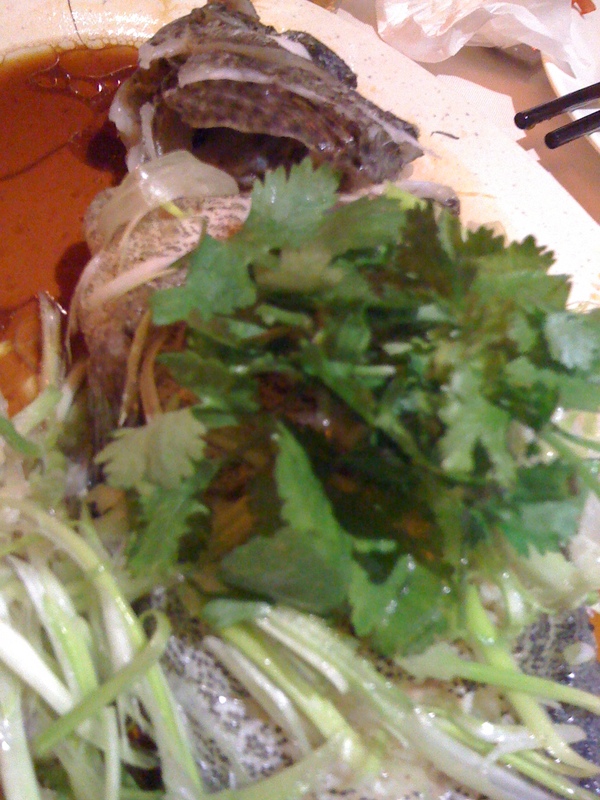 The crab was cooked with deep fried garlic, shallots and chili. It was absolutely flavoursome. You could taste the spices on the shell of the crab. The crab meats were tender, succulent and full of flavour. It was indeed fantastic! We also ordered a plate of vegetables. Beans cooked with lots of oil and garlic! It was a bit oily but delicious. If you do come, order the crab, it is their specialty. Every single table that night had some sort of crab. It was good, but messy! !